Do I need to have abseiled before? No. All training will be provided prior to the event. The initial moment when you lean backward out over a 1,000-foot drop will be the most challenging part … after that it’s all downhill so to speak, and should be a very enjoyable experience with lots of time to admire the view. This wiki page tells you all you need to know but basically, it’s using a rope to descend a mountain, rock face, or building. Has anyone ever abseiled down a building before? Yes – this event has been done twice before, and both times in London. Both events were fundraising events for Outward Bound UK and the first person to ever abseil down The Shard, was Prince Andrew, the Patron of Outward Bound UK. See and read more about these events at the links below. You will, however, be a true pioneer as this will be the first time this has taken place outside the UK. This will be the first high building abseil event outside the City of London so it really is something very special. It will be much more exclusive than having been to the summit of Mt. Everest. So far only around 80 people have completed these descents so you will be joining a very unique and exclusive club once you have completed your descent. Who will set up the event? The same highly experience team who successfully delivered the Descent of the Shard and The City Three Peaks Challenge in London. The team is led by Iain Peter, a world-class mountaineer from Scotland. You can read more about Iain’s background elsewhere on this website. Creating an event that is challenging and exciting means thorough management of risks. We are working with an experienced team who are at the top of their field. Thorough pre-event risk assessment and collaboration with the building management means that the systems are appropriate, well-tested and implemented without compromise. Participant safety has to be at the top of our list of priorities – you are in safe hands! This is not permitted due to the danger of dropping it and injuring someone below. We plan to have a drone taking footage of you during the descent plus photographers and/or videographers at the top and the bottom to capture key moments. Add to this the possibility of having an experienced high-altitude cameraman on the face of the building to take dramatic close-up images during your abseil and you will have a full record of your adventure. Can my friends watch me abseil? Yes. We are planning an event at a location close to One Island East. This will be confirmed at a later stage. Do I do the entire descent in one go? There will be a break at about 2/3rd of the way down where you will change to a second rope. The weight of rope makes it impossible for anyone to descend 1,000 feet without this transfer. This will happen on a secure platform with a team of technical staff to assist you. Will there be any catering provided at the event? Light food and soft drinks will be provided at One Island East plus a glass of Champagne when you complete the descent. Afterward, you can join your family and friends for drinks and snacks at the event party which will be held at a nearby location. Will there be parking at the One Island East? There is no parking at One Island East, but there is public parking close by. There is will be a drop-off zone at One Island East. What time will I be doing my abseil? You will be given your anticipated descent time a few weeks before the event. When should I arrive at One Island East? You should plan to arrive 2 hours before the event to ensure that you can go through your pre-decent preparation with the team, and get to the top of the building in good time. 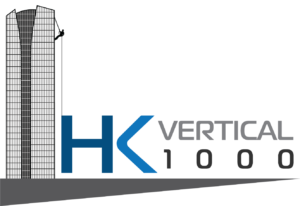 From the moment you arrive, you will be taken care of by our HK vertical 1000 event ambassadors. You will be given a detailed itinerary which will cover all eventualities closer to the event date. We will ask you to provide a doctor’s letter certifying that there is no medical history or reason why you should not do the descent in advance of the event. We will provide further details once you are provisionally confirmed for the event. The weather will be monitored constantly and the abseil will not take place if the wind on One Island East is above 27 kmph (17mph). Rain would not stop the event but as far as possible, and within the time constraints of the weekend, we will try to get everyone down in dry weather. In the event that weather causes delays, we will continue until dusk and if necessary, continue again from early on Sunday morning. Therefore you should plan to keep Sunday free as well to allow for any delay in the program.